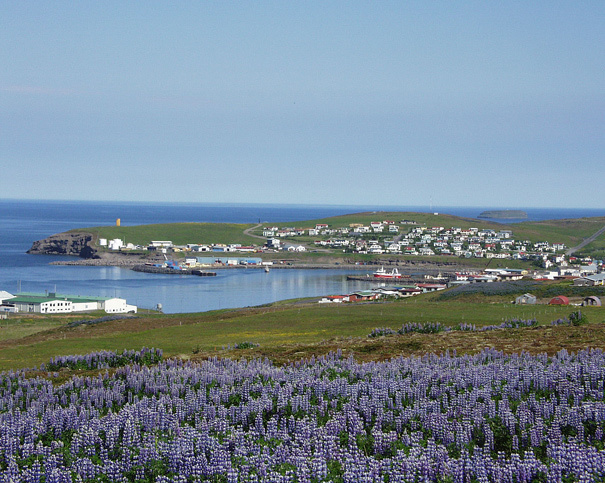 Husavik is an ideal hub for the tourist. The boat ride to Skjalfandi Bay getting in close encounter with the whales is an excitment. See also www.oh.is/gallery/husavik. The pumping of 60°C and warmer geothermal water from a drilled well is a task requiring know how and appropriate equipment. In my country where water temperature is sometimes up to and around 100°C, the most widespread solution is the shaft pump with the motor on the wellhead. In the past years, some installations with submersible pumps coupled to a HiTemp motor versions have also done ok – and other not so well – when exposed to 80°C and even higher temperature. Some 30 years ago the Energy Co. of Husavik had a well drilled in the outskirt of the town, yielding substantial amount of 90 to 100°C (depending on flow rate) of sea-water mixture. To cut a long story short, the pumping of this well has been troublesome due to the high temperature and extremely corrosive down-hole conditions. A shaft pump has never been an option considering the high investment cost and limited market potential for the brackish water. It is a pleasure to inform that we have – together with our supplier – developed and tested a modified submersible working just as good in slanted wells as in vertical. 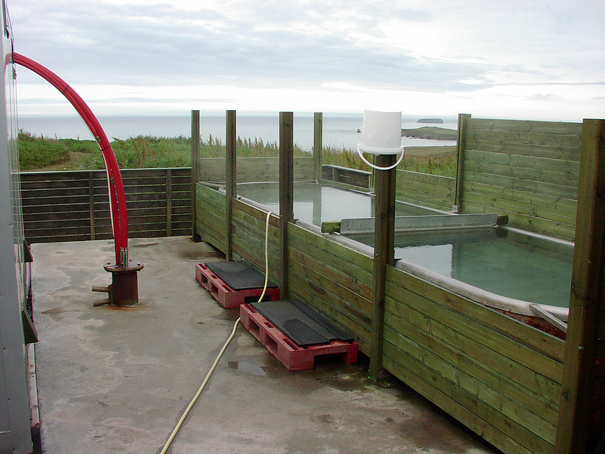 The pump was installed in the Husavik well earlier this year and has been delivering 95°C brackish water for a few months now. We are confident it will run for years without trouble. At this time we like to keep for ourselves exactly what we did and how. Those who are interested in a reliable and energy efficient pumping solution for 60 to 100°C at minimum investment cost are welcome to contact us at alvarr@alvarr.is. The old dairy tank has assumed a new role. The well water has been found to have a healing effect on the psoriasis skin disease. Over the years, a small amount of the precious liquid has been pumped to a tank by the wellside where people could bathe under the open sky. After our sucessful work, the well water is being pumped to the local swimming pool where anyone can bath the sophistcated way!